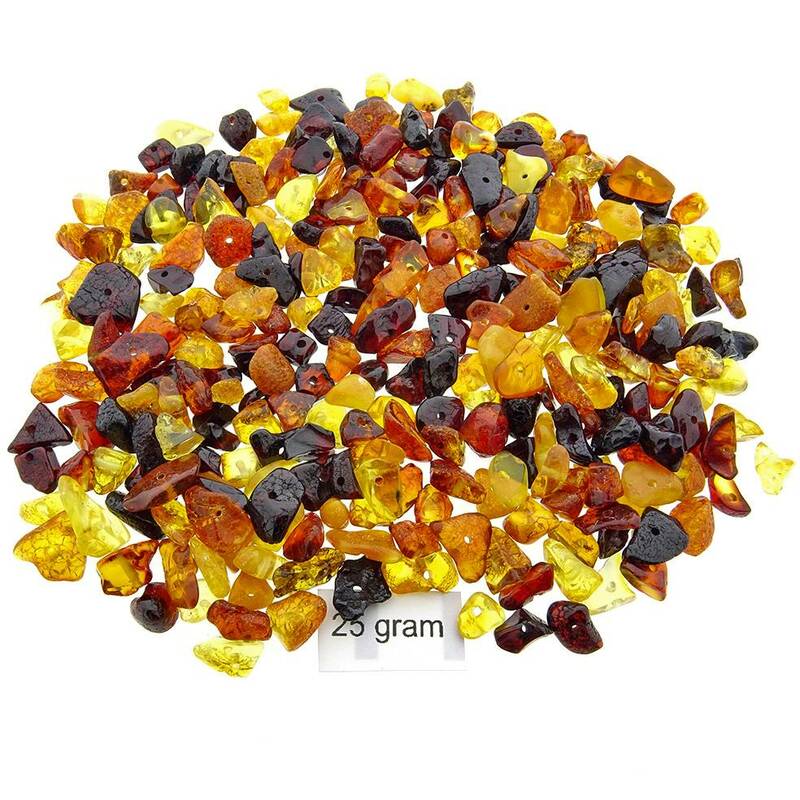 Amber comes in many colors and variations. Baltic amber is best known for its translucent honey or cognac color. These amber stones are between 5 and 10 millimeters and all drilled so you can make a nice necklace out of them. The pictures on this page serve as an example, you will receive an equal weight and shape of amber stones.